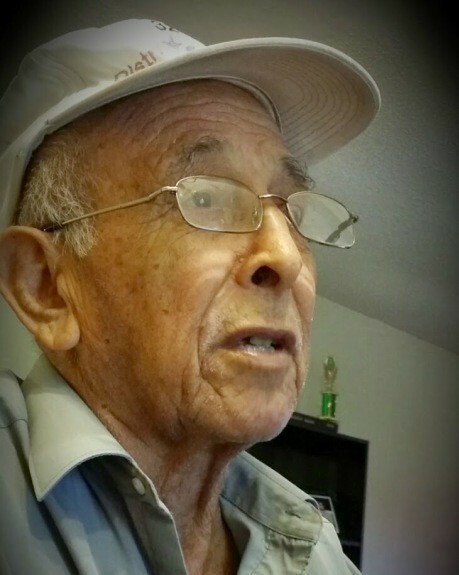 Urbano Diaz, Jr., 87, entered eternal rest on Tuesday, December 4, 2018 at his residence in Faysville. He was born on Thursday, May 7, 1931 at Laguna Seca Ranch, Texas to Urbano Diaz, Sr. and Beatrice Mendiola Diaz. He is preceded in death by his parents, brothers and sisters. Urbano is survived by his loving wife of 62 years; Hilaria Ortiz Diaz, children; Belinda Jo Angoori, Daniel Diaz, Leticia Freeman and Samuel (Eunice) Diaz, brother; Romeo Diaz, sisters; Julia Balderas and Susana Limon, grandchildren; Sarah Angoori, Bianca Angoori, Jaclyn Diaz, Kristen Diaz, Madison Freeman, Anna Freeman, Katelyn Freeman, Sydney Diaz, Diego Diaz, Maya Diaz and Lisa Ortiz, great grandchildren; Oliver LLanas Angoori and Sofia Moldes. Urbano lived in Edinburg all of his life. He graduated from Edinburg High School in 1950 where he was part of the Edinburg High School Baseball District Champions. He worked at Disneyland for a few years as a grounds man. He proudly served his country in the United States Air Force during the Korean War. He worked for the USDA for 10 years in McCook, Texas. He then worked at the Hidalgo County Sherriff Department as a detention officer and finally retired working as a security officer for Tide Products/Wilbur-Ellis Fertilizer Supply Company. He worked very hard for his family and cherished his time with his children and grandchildren. He enjoyed listening to music and playing his guitar. He will be greatly missed by his family, friends and all those whose lives he touched. The Diaz family will receive friends on Saturday, December 8, 2018 from 8:00 AM – 12:00 PM. A Rosary will be prayed at 9:00 AM with a Memorial Service following at 10:00 AM in the Chapel of Peace at Ceballos-Diaz Funeral Home, 322 East Kuhn Street in Edinburg. Military honors will be under the auspices of V.F.W. Post #7473 of Elsa, Texas. Funeral services have been entrusted to Ceballos-Diaz Funeral Home in Edinburg.